October 26 is less than three months away. Captured entirely from in-game footage on PlayStation 4 Pro, watch this introduction to Red Dead Redemption 2’s gameplay in 4K. Red Dead Redemption 2 is coming October 26, 2018 to PlayStation 4 systems. Pre-order now. Can’t wait for this game, three months seem so long. Quick question, will it have auto-aim? I’m sure it will, but just wanna know for sure. But will it better on One X or Pro, that’s the real question. Genuine loyal owner of both systems. Also a genuine owner of both systems; pretty sure it will be the X since it has more power, but I’m getting it on Pro. Already pre-ordered. I’m gonna go out on a limb here, but this game looks like it might be pretty good. OH BOY!!! That was a spectacular trailer! Looking forward to going after the Platinum. RDR was such an awesome Platinum to go after. Loved the first game and cannot wait for this. This will be the next game I buy after Spider-Man! Going to be a great fall/winter!! Game looks good but it doesn’t really wow me. I think God of War is still GOTY even though RDR 2 will score a 97+ on MC like just about every Rockstar game does. Hoo-eeee that was a damn fine trailer. This game gonna sell faster’n free flapjacks I reckon. The wait for this game is going to be even more difficult for me after this trailer. It looks amazing and the gameplay shown in this trailer makes me wish it was release day already. The first Red Dead bored me, but this looks like an entirely different animal… really like the character interactions of the gang. 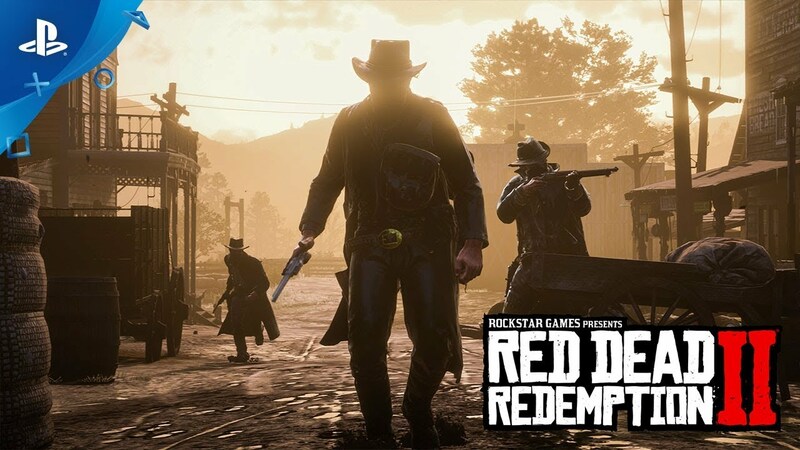 Oh not bad looks like rockstar finally learned how to animate…it was high time rockstar released a game that doesn’t look like it’s 5 years behind everything else tech wise.Lookin good,RDR2 even though overrated is shaping up to be a good game nonetheless. October 26 needs to get here! For now, RDR2 isn’t coming to PC.